Summer's Harvest Cream. Canada No.1 White Creamed Honey. Non-pasteurized. 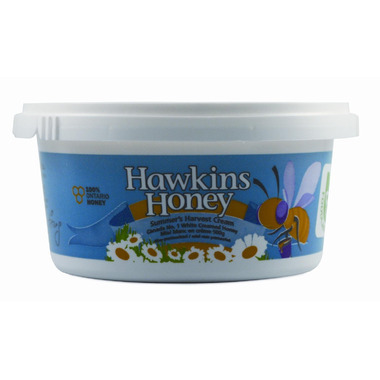 Soft, smooth and easy to spread, this creamed honey is a favourite in sandwiches and on taste and pastries. Enjoy! Tastes great! Organic, raw & Canadian, what moere can you ask for? Appreciate organic quality, which of course brings the best taste. It is hard to not appreciate the taste of good honey for breakfast. I would recommend this product to everyone who ase a healthy sweet tooth. My parents love this creamy honey, very good product, will buy again. This is truly delicious honey! it dissolves well in beverages and is oh so yummy on toast or pancakes! Icd consistency. I find that a teaspoonful is a great way to relieve a nagging cough. This is a very creamy and tasty honey.